After an exposé by the media on the nearly 5 tons of trash left by tourists and residents on Dadonghai Beach last Mid Autumn Festival, this year the government has placed more garbage bins at beaches to help raise public environmental protection after the Chinese New Year celebrations. 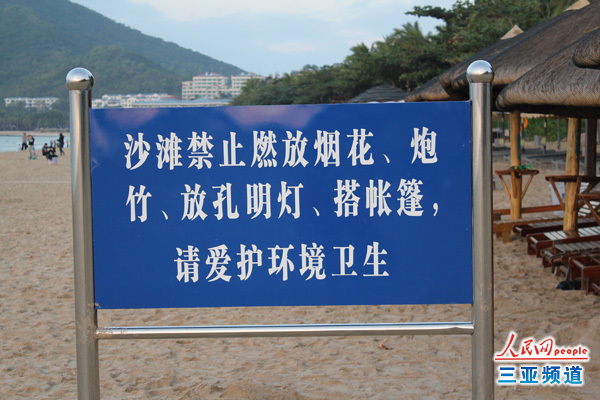 To maintain order on the beaches and keep them clean, it is forbidden to set off firecrackers on Chinese’s New Year Eve and tourists are only permitted to set them off in Dadonghai Square. Every Spring Festival, the Dadonghai operators dispatch a group of cleaning workers to collect the trash on the beach after the Chinese New Year’s Eve event. 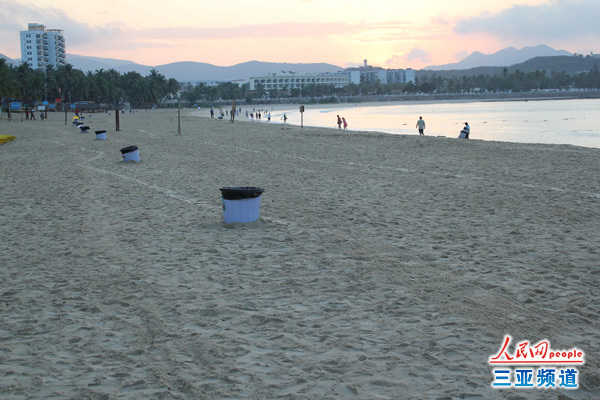 "We have placed some temporary trash bins on the beach to encourage Chinese tourists to be more civic-minded and throw them into the bins to improve their celebrating behaviors, said a cleaning worker at Dadonghai Beach.